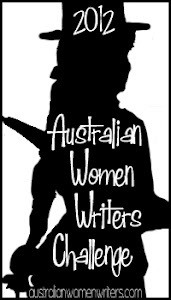 I’ve been wanting to read and review a book for Australian Women Writers challenge for a while now, but everything I’ve read has been in my own genre or not relevant. 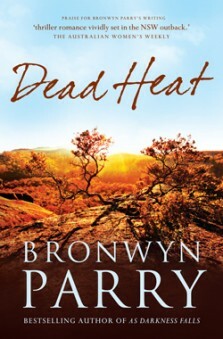 So when I finally had time to pick up Bronwyn Parry’s new book Dead Heat, and finished it in record time (due to the fact I couldn’t put it down), I realised it was one that fitted perfectly for AWW challenge. A big fan of Bron’s earlier books As Darkness Falls and Dark Country, I knew I would enjoy her third. I’ve had the great pleasure of meeting Bron, who is lovely and generous. 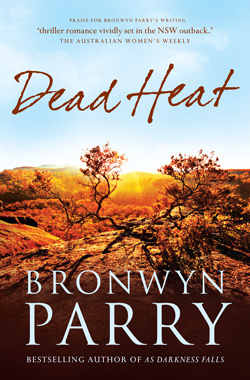 I was delighted to know that after recovering from brain surgery she was back into writing and so it’s wonderful to see Dead Heat on the shelves. Good on you, Bron! I couldn’t put this book down. I loved Jo. Such a strong woman, smart and determined to help Detective Nick even through all the horror. She is someone I would have idolised, with an outside job, brilliant mind and strength. Of course, the book being set in the hot rugged country also sucked me in. And I can’t forget Nick. Oh, how I would have liked to seen a visual of him doing his Aikido routine. Nick, even though damaged from his childhood and undercover stint in the police force, was strong but still caring. I loved that Jo could read him like a book, even when he’d had years of acting undercover. The murders and the connections were great and made for a truly engaging read. Bron’s characters were well rounded, I associated with them, even the minor ones. It all came alive so vividly in my mind. Thanks Bron for another great book. Looking forward to the next one. Detective Nick Matheson’s new posting to the north-west of NSW is supposed to be an uneventful return to normal duties and a normal life. He knows organised crime from the inside out and suspects that the victim in the camping ground is not an isolated murder. Trapped in rugged country in scorching summer heat, pursued by hunters who can’t affort to fail, Nick and Jo will need to trust each other completely, and use all their skills and knowledge if they want to survive.